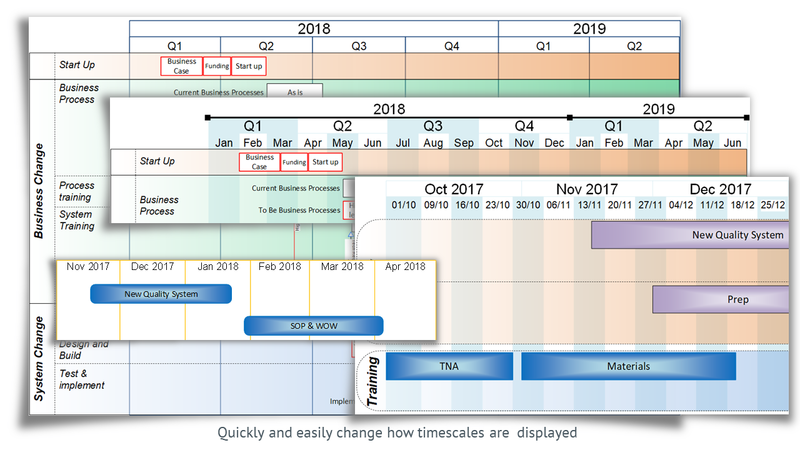 You can quickly and easily change the time scale of your Plan on a Page with everything automatically scaling and moving to maintain the correct position on the timeline. Up to three types of scale can be shown (e.g. year, month, week) or you can only have one shown. 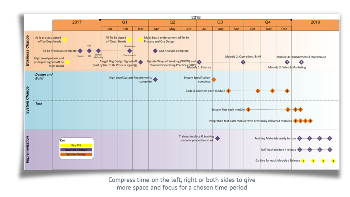 You can have compressed time scales on the left and / or right of the main display. 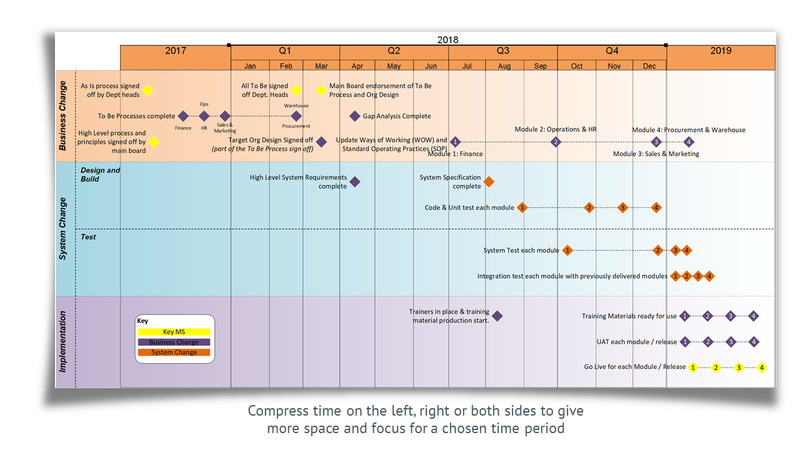 This might allow you to compress next year into the same size as one month. The bars and milestones in this compressed time maintain their relationship to the time line and each other. 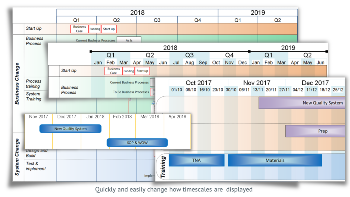 Quickly and easily set the formatting of the timescale elements and how they appear on the page.